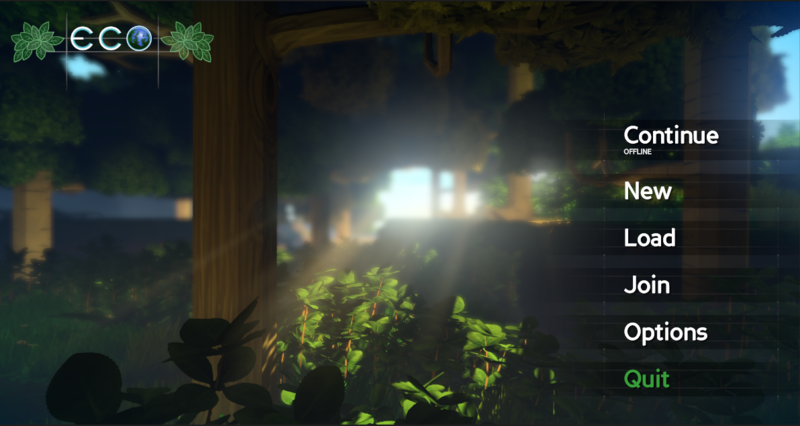 Last Eco Alpha Build Released – 6.4. Onwards, Beta. 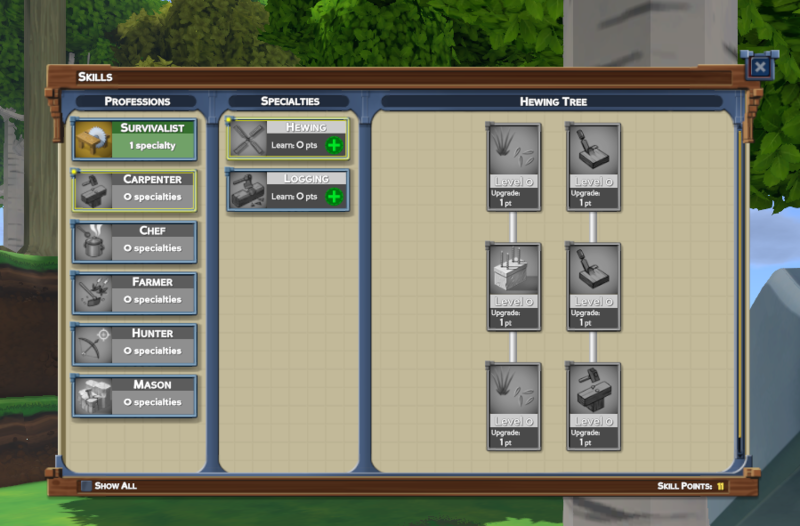 Our final alpha build before our Steam Early Access launch is now out! That makes this the last opportunity to pick up Alpha build and get the early rewards. 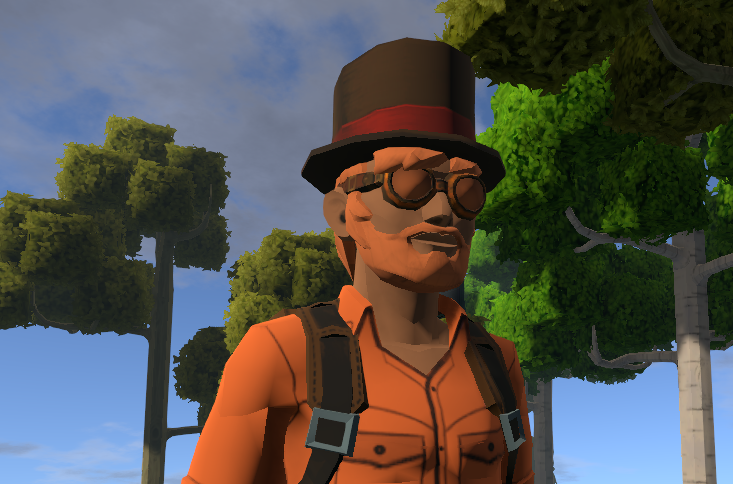 Alpha rewards: Meteor chunk, top-hat and goggles, and Alpha backer chat icon. 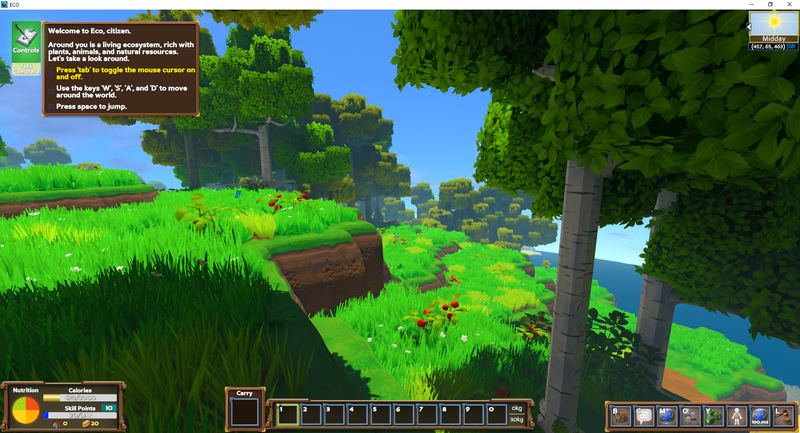 Added initial support for playing on local worlds. 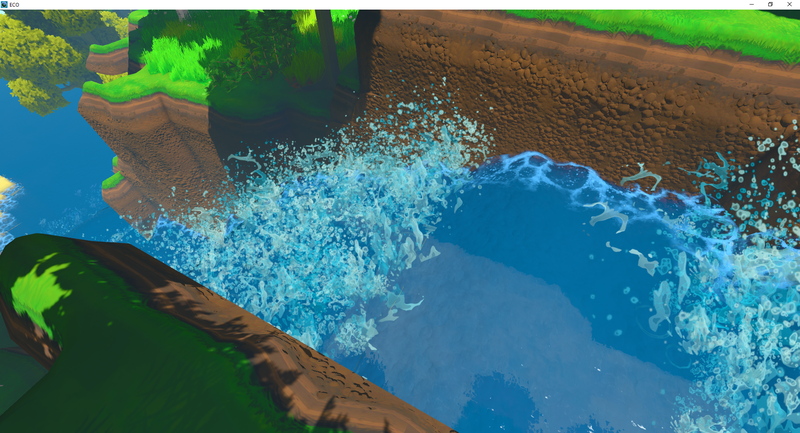 Initially this is a PC only feature, we will be looking at adding support for this on OSX and Linux in the future. 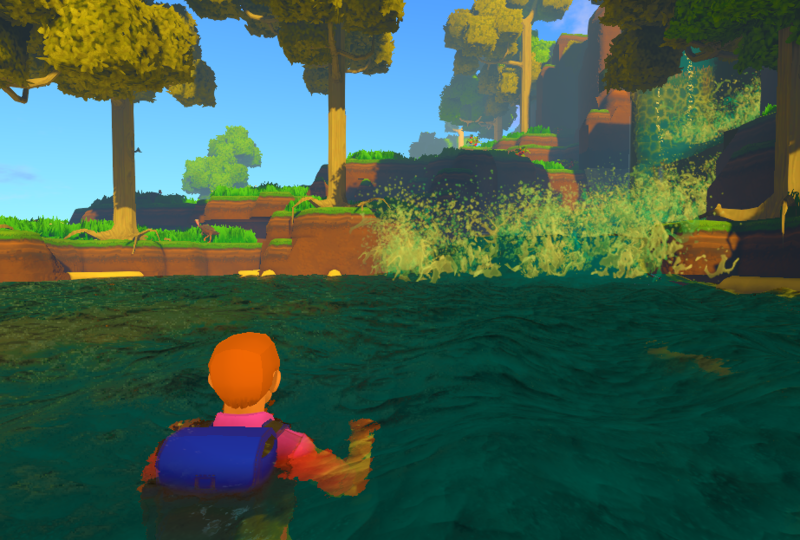 You can create and load worlds locally, and play without needing to setup your own server – it does most of the legwork for you. New improved tutorial to simplify introduction to Eco. 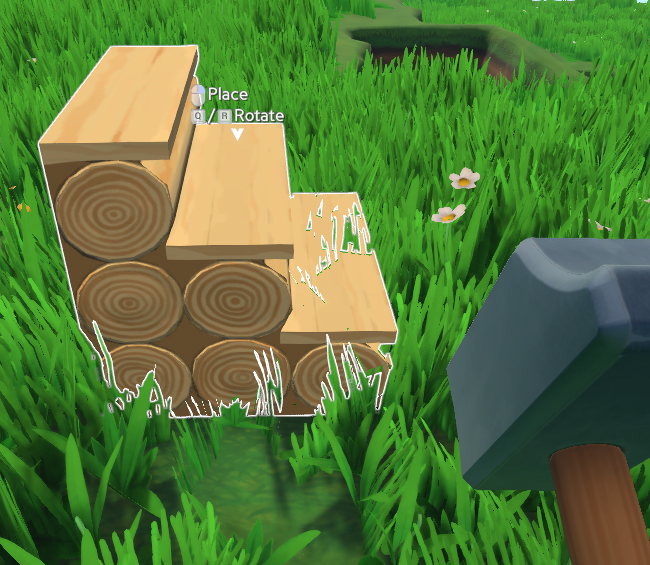 Different terrain materials now blend into nearby other materials in a more stylized way. 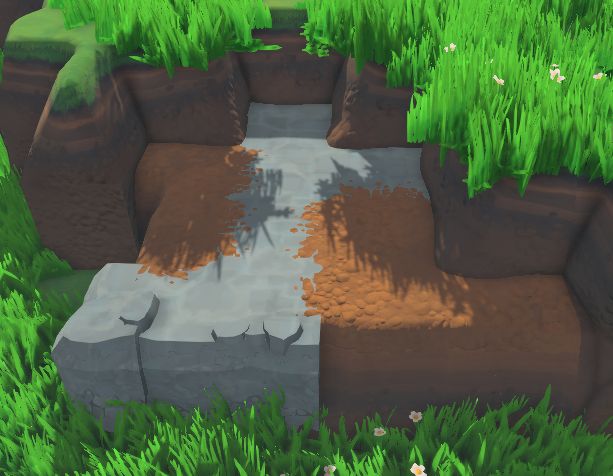 This removes most hard edges from bordering block types, such as soil next to grass, or sand next to stone. We’re pulling out all the stops to make this a great launch, and having your support has been amazing so far. Looking forward to continued support of the game into Beta and beyond, lots more places we want to take it.